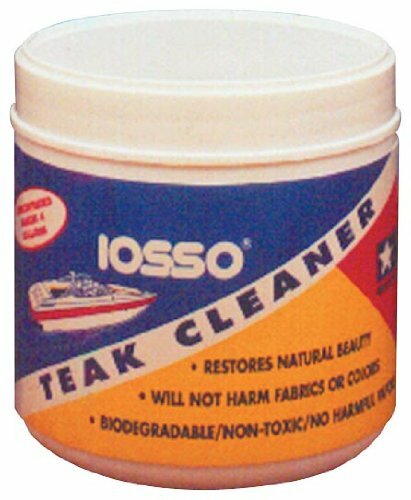 Teak Cleaner - 16 Oz-Cleans and brightens in one step!--Cleans and brightens in one step!Clean your teak naturally without harsh chemicals. Gentle to you, safe for your boat. Just mix the recommended amounts of teak cleaner with water. Apply solution to wood, brush lightly, and rinse. Black algae, and mildew stains will disappear! This biodegradable solution will not harm other boat surfaces. A 16 ounce jar, makes 4 gallons of solution. If you have any questions about this product by Iosso, contact us by completing and submitting the form below. If you are looking for a specif part number, please include it with your message.